The growth of the automobile and the development of the suburb brought a new style of shopping center being constructed farther away from the downtown area. In the 60's, things were looking busier for the Macon retail market than it had in previous years and new competition was fierce. Almost a decade ago, the Macon Mall and its 75+ stores, restaurants and kiosks was a nexus of daily life in this part of Macon, where teenagers met to flirt as others shopped and dined. The mall was always bustling with people, but no so much anymore. Opened to large crowds in west Macon in July 1975, the Macon Mall was touted as the second largest shopping center in Georgia; retail customers traveled as long as 90 minutes one way to shop at the two level, 1.1 million square foot retail giant. 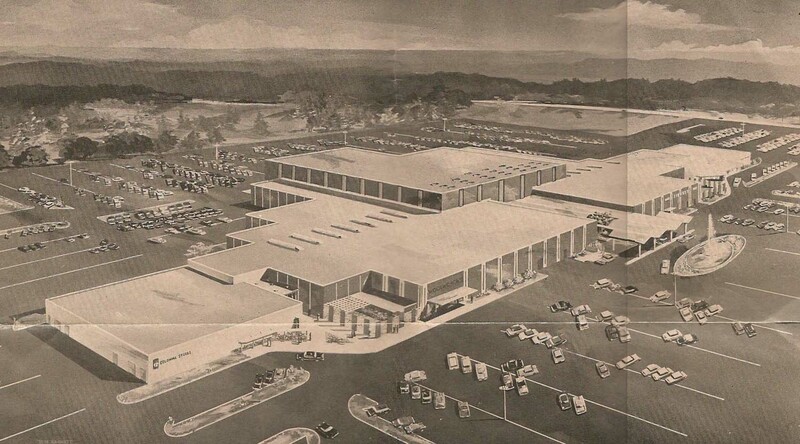 The mall housed 37 retail stores such as 5-7-9, The Body Shop, McCroy’s, Oshman’s along with a Davison’s, Belk, Sears and JCPenny as its 4 anchor stores. There was a restaurant that was the shape of a train car called Grand Central Station, Davison’s had an in-store restaurant which later closed down in the 80s and Macon’s first Chick-fil-A was located on the upper level of the mall near Sears. According to an article from the Macon Telegraph, Westgate Mall was completely empty by 1978, just 3 years after the Macon Mall opened. There were several efforts to save Westgate, but with no real department store anchors in place, it failed. In an effort to revive the shopping center, Burlington, Wal-Mart, Media Play, Petsmart, Stacy's and Scotty's Home Improvement Center moved in, but continued to faced challenges all the while competing with the Macon Mall. With the bankruptcy of Media Play, the exit of Wal-Mart, and the loss of Home Depot, Westgate Shopping Center still remains virtually empty. When the mall opened in 1975, disco was more than just a movement and the era was very much an influential part of the interior design. The mall boasted lightbulb lined ceilings with prominent colors of red and brown that quickly became dated as the 1970’s came to a close; which led to the mall’s first renovation in 1983 and a second renovation came in 1986 when the food court was added. A third facelift came in 1988 when the center was given a $6 million interior overhaul. The renovation and expansion of the mall in 1997 brought 2 more anchor stores, two parking garages and an extra level to the food court. 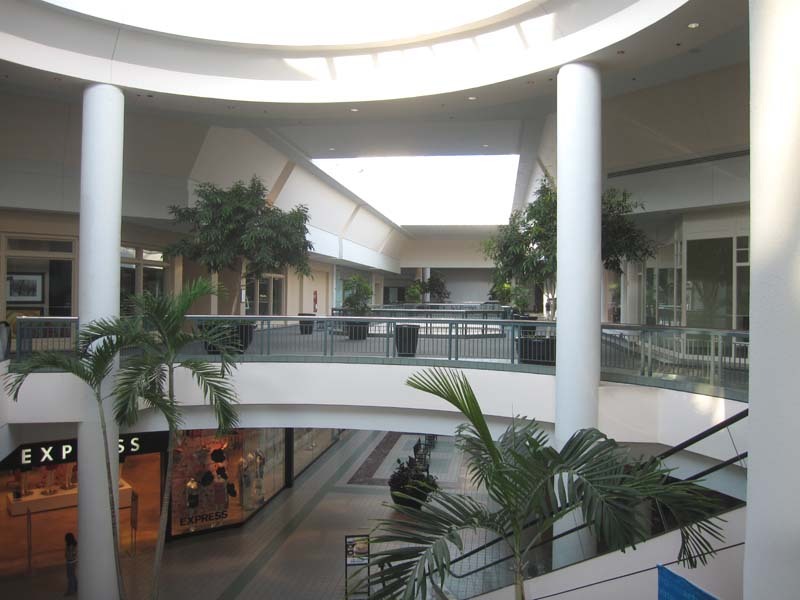 By late 2000, the mall underwent another makeover after the opening of the Shoppes at River Crossing in 2008. After the departure of its original anchor stores, the Macon Mall’s new owners demolished the addition just 10 years after its completion. In 1977, the Macon Mall experiences a huge overhaul and expansion that nearly doubled the magnitude of the mall and added Dillard's and Parisian as anchor stores. The addition of these two anchor stores plus forty more stores, pushed the mall into a more upscale and fashionable place to shop. The 1997 growth and development made Macon mall the largest mall in the state of Georgia for two years until 1999 when the Mall of Georgia opened in Gwinnett County. When the mall came under the ownership of Colonial Properties, the firm began the acquisition of 22 acres across Rocky Creek from the mall in 1986 and 1987. In order to add to the existing mall, Colonial had to move Rocky Creek which is as large as many rivers in the state. Rocky Creek carries the water of Indian Springs via Big Sandy Creek straight to the Ocmulgee River. After three years to the day, Colonial Properties received the permits to move the creek. After two vetoes and an approval later, Colonial Properties had the green light to build. Call it careless planning or the Creek Indian curse; the relocation of Rocky Creek under one of the mall's parking lots had made the lot unstable and the pavement began to sag and the new addition to the mall was razed.